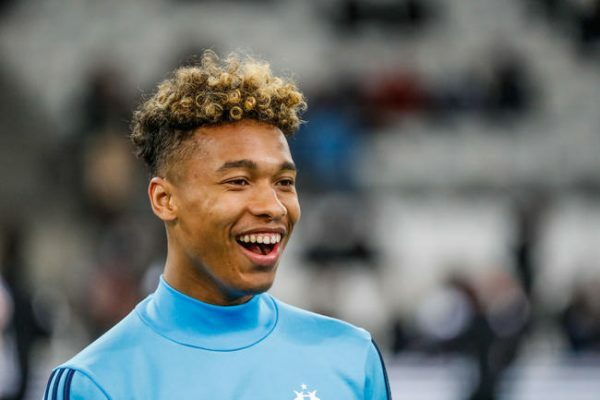 Chelsea, Arsenal and Borussia Dortmund have all registered an interest in Ligue 1 outfit Marseille versatile defender Boubacar Kamara, according to a report. According to the latest reports in Italy from Calcio Mercato, all three sides could make moves to secure the services of the defender in the summer transfer market. Kamara is drawing a wealth of interest as he continues to make an impression in Ligue 1and has already drawn comparisons to Paris Saint-Germain’s star Thiago Silva, a defender who has dominating France’s top tier. Silva’s former side AC Milan are also said to be in the running to land Kamara from Les Olympiens. The French club are believed to be trying to tie the star down to a new deal. His current deal expires in 2020 and negotiations are said to be ongoing regarding an improved contract. However, the report does hint that the Ligue 1 club’s management may well struggle to keep hold of the prized asset for long with interest rising. This season, in all competitions (Ligue 1 and Europa League), France U20 star has made 23 appearances and netted one goal. 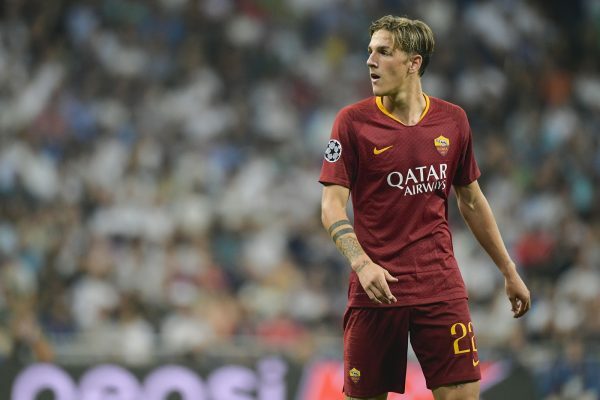 The Premier League side Chelsea have entered the hunt to sign AS Roma youngster Nicolo Zaniolo, according to the latest reports in the Italian press. An Italian daily newspaper La Gazzetta dello Sport, as quoted on Sport Witness, state that the Blues are the latest club to express an interest in the player. After enjoying a breakthrough campaign in Rome, a host of top European sides have been linked with moves to sign the talented attacking midfielder. Arsenal were heavily connected with a move to sign the star during the January window after being so impressed with his displays while the club were in Italy, scouting his team-mate, Turkish ace Cengiz Under. The report also adds that La Liga giants Real Madrid, Bundesliga champions Bayern Munich and Serie A leaders Juventus are also keeping a close eye on the star’s development in Serie A.
Nicolo has only started a dozen league matches this season, but he is quickly emerging as one of AS Roma’s hottest prospects and the Rome-based outfit will undoubtedly face a fight to keep him beyond the summer transfer window. Tottenham Hotspur have moved ahead of Maurizio Sarri’s Chelsea in the race to secure the services of Norwich City star Max Aarons, according to a report from The Mirror. The exciting right-back has cemented his place in Daniel Farke’s starting eleven at Carrow Road and is a crucial player for the German manager, who has led his side to the very top of the EFL Championship table. Max is held in high esteem by Norwich City, but his performances have not gone unnoticed, with reports suggesting that Premier League clubs have taken note. The Mirror states that Tottenham Hotspur have firmed up their interest in landing the youngster, with their London counterparts Arsenal and Chelsea trailing behind them in the race for the youngster’s signature. The Blues were reportedly interested in landing the Norwich academy graduate the previous year, but Aarons put pen to paper on a fresh deal at the club. Nevertheless, ahead of the summer transfer market, it seems the Canaries could face an uphill battle to keep hold of their prized asset, with Chelsea still among the clubs who are interested in potential moves.